Join the conversation about the total solar eclipse taking place in 2017! 1. What questions do you have about the total solar eclipse in 2017? 2. What are your plans for experiencing the eclipse? How are your students celebrating the event? Are you finding useful resources that you can share? We look forward to your posts and photos of the event! If you are interested in teaching about the August 21, 2017 Total Solar Eclipse and have enjoyed links to resources in this thread, you may be interested to register for Astronomers Without Borders Building on the Eclipse Education Program. AWB’s unique Building on the Eclipse Education Program uses the high-profile eclipse event as inspiration and the starting point for continuing STEM education lessons and activities to be conducted in the following academic year. The program offers an exciting educational resource package that uses eclipse viewing glasses and spectroscope kits in lesson plans developed by our team of professional science educators in cooperation with Astronomical Society of the Pacific, and Science Technology Advanced Resource, Inc. An online support community and professional development sessions are also offered. Here is a link to a blog written by Dennis Schatz and Andrew Fraknoi (virtual conference presenters and NSTA Press authors) about school wide or community wide programs for the 2017 solar eclipse. http://nstacommunities.org/blog/2016/09/30/are-you-planning-schoolwide-or-community-wide-programs-for-the-august-2017-solar-eclipse/ Flavio. Ideas on using models for younger students to understand the phases of the moon? Resources? Jennifer, I have been wanting to make this phases of the moon viewer. Here is a link for it: http://eberopolis.blogspot.com/2013/02/phases-of-moon.html One of the things I do is have the children cut out the weather forecast each day from the newspaper and we tape them along the wall in timeline format because it also has sunrise, sunset, and moon phases on it. They can keep a log and go outside each night and draw what they see, if they miss a night, they know it will be posted the next day. Just like in math, it helps them to see and learn that it is a pattern, a cycle that happens over and over. There are some great resources here on NSTA. Choose elementary, lesson plans, and whatever content strand you want. Emily Morgan writes a beautiful series called The Next Time You See. I would set the books up in my Science Center and students would be drawn to the vivid pictures and topics (sea shells, pill bugs, spiderwebs, the sunset, the moon). The link below is to NSTA Press Extras Next Time You See the Moon, which will provide you activities to do before and after reading Next Time You See the Moon, and it has a helpful video of Emily Morgan, the author, modeling the phases of the moon in a demonstration that would be easy to replicate in your classroom. Many of NSTA Press books provide additional online resources. There are beautiful youtube book trailers for The Next Time You See series. Thanks for this K-4 resource Claire. I am a regional science curriculum specialist and will share this with elementary teachers. Do you know, are these lessons NGSS aligned? I only see links in the lessons to National Standards Addressed (2009, UC Regents), so am guessing it is aligned to the prior National Science Education Standards. I'm sure however, that if not yet NGSS aligned, that teachers can adapt these lessons to NGSS 3-D science teaching. Dorothy, I am so glad you said that because I feel so strongly that we may not remember content but we always remember the love of learning our teachers impart. 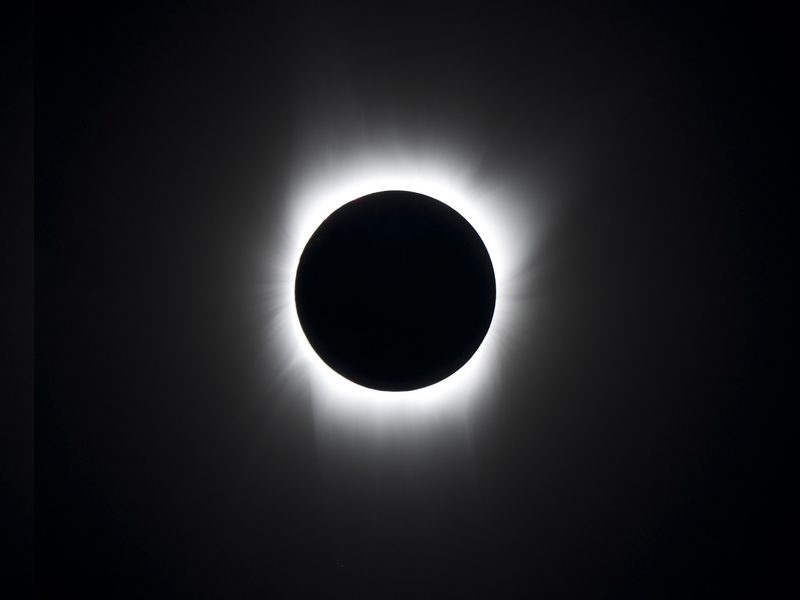 In one of today's Virtual Conference Sessions on The Total Solar Eclipse of 2017, the presenter's discussed how the 1979 Total Solar Eclipse provided evidence to support Einstein's theories. I imagine there is great excitement in physics and astronomy about this upcoming eclipse. What types of scientific experiments on solar science and/or data to test scientific theories are planned for the 2017 Total Solar Eclipse? The Virtual Conference Session 4 has Dr. Claire Raftery sharing some outstanding information about the sun. She mentioned a mailing list that we can all join: outreach@nso.edu I am energized about this upcoming August 21, 2017 Solar Eclipse event! Here is an Observer's Guide to Viewing the Eclipse authored by Fraknoi and Schatz. Good reading and to share with other teachers, parents, and students. http://www.nsta.org/publications/press/extras/files/solarscience/SolarScienceInsert.pdf Flavio. While most documents about the eclipse discuss eye safety, what I'm not seeing is something specifically addressing the concerns of some teachers and admins about letting students view the eclipse AT ALL. In the past, some teachers or schools have kept the kids indoors with the blinds closed during an eclipse. I find that very sad. Has something been written on WHY students should see the eclipse and addressing concerns that, say, a student will remove the eclipse glasses at the wrong time? One can use a pinhole projector during the partial phases, but to see the corona during totality, you have to turn your gaze up toward the sun (and then away from the sun before totality ends). Or, if eclipse glasses are removed during totality, they must be put back on before totality ends. Can teachers safely coordinate such an activity? I totally agree! Teach them how to view it safely and have them build a pinhole camera. Having said that though, in the world we live in today, we always have to guard against litigation because if a teacher can be accused of any wrong doing, they will be attacked with or without any proof. I'm extremely excited to view this! I'm in the prime viewing location so my students will have an awesome opportunity. A number of school districts in my area will be closed for this event. A couple of towns in our area are planning an entire day filled with activities! I plan on purchasing a set of solar safe viewing glasses for my students to use. I've included the link to the website if anyone is interested. In Anchorage, Alaska, the eclipse will be visible on the very first day of school for students. It is beginning before school starts and peaking around the time our school bell is ringing. I am hoping our principal will be open to requests of allowing students to start class a little late that day. Are there any resources out there that would give some simple information about the eclipse? I'm thinking about handing out a simple 1-page newsletter/infographic prior to school's start that would explain what is happening and offer suggestions to view the eclipse safely. I won't have the opportunity to pre-teach anything. It was great to meet you in Houston at the ExxonMobil Teachers Academy 2017 - congratulations on your selection to participate! Please see the link below to a collection of resources about the Solar Eclipse. One of the resources included is a free PDF document tilted: An Observer's Guide to the Total Solar Eclipse of 2017" authored by Fraknoi and Schatz. While not a one-pager, it is an easy read that you can print and share with people and/or send to those you know electronically. Flavio, I am very glad that you responded with this collection from the Virtual Conference. Although the Virtual Conference was several months ago, the archive and the resources become more relevant as we get closer to August. I suspect more people will be looking for these resources over the next few weeks. I will be viewing the eclipse (weather permitting) in New Plymouth, ID. I hope all these small towns along the path of totality are preparing for the hoards. We just opened registration for a free web seminar about the eclipse. The web seminar presenters are Andrew Fraknoi and Dennis Schatz, authors of NSTA Press book Solar Science. Introduce your students to an entirely new type of learning experience with “Eclipse 2017” from NASA and Infiniscope. Aligned with the Next Generation Science Standards, the experience presents NASA’s “Eyes on the Solar System” visualization embedded within the immersive digital learning environment of Infiniscope. Learners will explore the Earth-moon-sun system; learn about shadows at the astronomical level; and predict the eclipse’s path of totality. I am in Manning, SC, with family and friends ready for tomorrow's event. How about you? Share your plans and photos with other educators. I was unable to get to a site to see the total eclipse. Instead, i hosted an event at a local nature center in Harrisburg, PA. We set up a station on a boardwalk in the wetlands with an unobstructed view of the sky. We had materials for pinhole projectors and I had received several viewers from the Planetary Society. Most of the attendees were adults walking in the Park. They were appreciative of the opportunity to view the eclipse in a safe manner. A few were unaware that a partial eclipse could be seen in our area. I was in Carbondale, Illinois for the Totality, Flavio. It was so exciting to be with thousands of fellow "Totalitarians" to share the experience together. A huge cloud came along just before the moon was about to completely block the sun; however, a small window of opportunity allowed us to capture enough of the event to be awed. I was able to catch a glimpse of the "diamond ring" effect and loved how it got dark enough to feel like it was dusk and to experience a slight temperature drop (that was especially appreciated since it was a scorcher of a day?). Can't wait for 2024! I might try a different spot to see it as it is cold in Carbondale in April :-) How remarkable that Carbondale is at the crossroads for both of these eclipses! Carolyn, I was in Manning, SC, at the local high school with my family and Mother who was visiting from PR. We joined our great friends from Virginia and together enjoyed an awesome event! We had great weather and clear skies. During totality we felt a slight drop on the temperature and could see Venus appear in the sky. On the way home, as advertised, we experienced significant traffic on I-95. We plan to watch it again on 2024! Flavio. I wonder how many others in this group were able to see Totality? It was truly a memorable experience. We were in Ravenna, NE, with a group from the Michigan Earth Science Teachers Association, and Delta College's Astronomy Club. WE also felt the temperature drop, saw Venus and Regulus, and heard insects that typically do not start calling until dusk. I snapped this photo of the diamond ring. Hi! During the eclipse I was in a school in Ohio. We were planning on looking out the window during the eclipse to see what changes there were outside. Our classroom windows did not face the sun so we felt it would be okay to look outside. However, at the same time we should have been experiencing the eclipse, we had a little rain shower come through and were unable to see any change. Hopefully during the next one we will all have the special glasses and can all watch it! Natalie, I'm not sure where in Ohio you were, but if you were in an area with 85% obscuration of the sun, you wouldn't have noticed any changes outside, even without the rain. For April 8, 2024, plan a field trip to be near the center of the path of totality, e.g., in northern Ohio. Hello! I am from Miami, FL and was able to experience the solar eclipse. Although it did not cover 85% of the sun from where I am, I was able to see about 60% of the sun covered. I was able to purchase glasses from NASA that will not only protect my eyes when looking at the sun, but It allowed me to watch the solar eclipse. From where I was standing, at 2:00 p.m. I was able to see the moon covering half the sun. I work in an aftercare with middle schools students, and I was able to share my glasses with them so that they could also experience the solar eclipse. This was a great opportunity for me to teach the students about the solar eclipse and how rare it is to come around. With my NSTA subscription, I was able to read the student's articles on the solar eclipse and find interesting information that even I did not know.